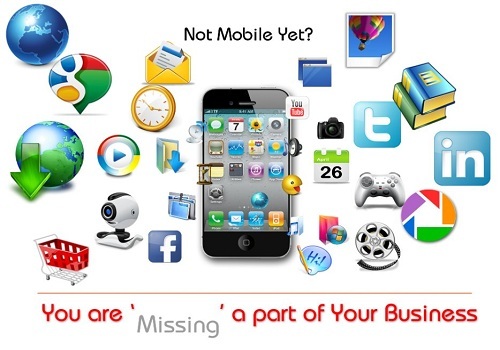 Mobile apps are fast becoming very important parts of virtually every business. With the number of mobile users increasing every day, most people can easily access the internet through the aid of their mobile devices.Though Websites are integral tools which aids in promoting goods, services and creating brand awareness, mobile apps are the future of commerce and business in general as everything related to trading can now be processed on mobile. Must Read: How To SetUp A Successful Email Marketing Campaign. Beyond reasonable doubts, Mobile apps are indeed the very future of computing. Developing a mobile app and promoting it among your users is very beneficial in expanding the scope and reach of your business. Although these devices have made the lives of most people very easy and convenient, but at the same time it has brought a lot of challenges for business too. Hence, every business is not only focusing on the online world but also on the device industry. We are in the era of smart phones, just running your business website is not enough, you need to add much more to this. Not only smart phones but also many other Internet empowered devices are gaining popularity worldwide. Through research’s recently conducted, it was discovered that at least 45 % of Google search results are performed using smart phones. The percentage is quite impressive and so is the growth of the mobile industry. Gone are the days when people used to spare time from their busy regular schedule and go out to fulfill their day to day necessary requirements. Isn’t it interesting that today you can easily buy a movie ticket or order a pizza while walking on the street? This has given birth to the mobile application development which expresses the core development of apps specifically for smart devices. IMPORTANCE OF HAVING AN APP FOR YOUR BUSINESS. Today, we have to use an app for almost everything from shopping to booking tickets or paying bills, it has become a must have, a necessity for every business to have an app in order to target the maximum of the audience using smart devices. Having a mobile is no longer considered as a luxury, it has become a necessity, therefore every business owner should start promoting his business online though smart apps for all Internet-enabled devices. WHY YOU SHOULD HAVE AN APP FOR YOUR BUSINESS. The purpose of an app is the most important thing for a business to understand before even planning to create an app. You cannot blindly hire an application development company for creating apps for both android and windows, without knowing the exact purpose of it. Before starting with the development of your useful app, a clear mobile strategy is necessary to decide whether to build a mobile- friendly website or an app. The quick growing demand of smart phones is persisting because more and more apps are coming in the market every day and this has replaced the need of having a desktop or laptop. Thus, whether you are running a retail business or any other business online, having a fully functional mobile app would be a good idea to target the right audience and being available for them across every devices.